Your wedding will be one of the most special days you ever experience. And with a bit of design flourish, your guests can say the same. 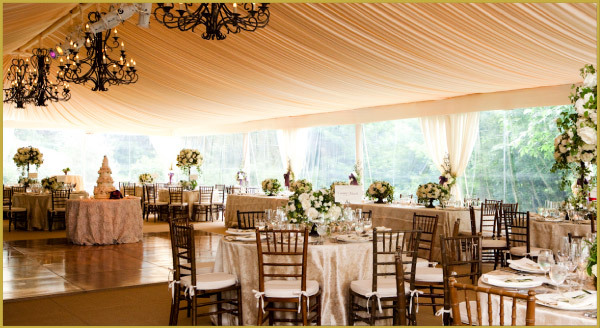 From what they sit on, to what surrounds them, your guests will forever remember your wedding for its amazing and eclectic decorations as well as the amazing Miami banquet hall they attended. Here are ten unique party accents your guests will never forget. 10. Chair Boughs: Make every guest feel special and appreciated, and make your party venue smell heavenly! 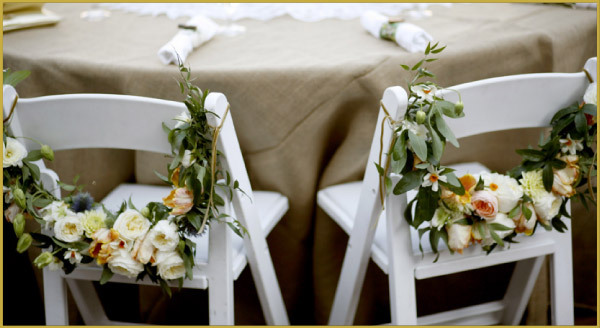 Order fresh flower boughs or garlands and drape them around each guest’s chair for a truly lovely event. 9. Cellophane Candies: Want an easy way to make your party truly “sweet?” Find colorful plastic balls and wrap them in cellophane. With the right wrapping job, they’ll look just like candy and give you a perfect (and perfectly affordable) decoration. 8. 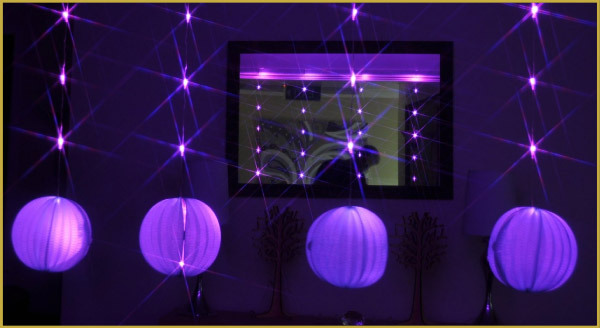 LED Sparkle Ribbons: What’s a party without balloons? Now, you can make your balloons “pop” (not literally!) even more by attaching colorful LED sparkle ribbons to them. 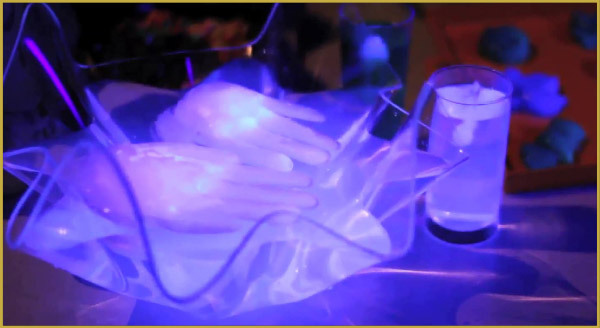 7.Glow Dishes: For outdoor or dimly lit parties, add a little light with glow dishes; you can even make them yourself! Just place glow-in-the-dark necklaces around plates and bracelets around cups to light up the night! 6. Confetti Balloons: A grown-spin on the pinata, confetti balloons are exactly what they sound like: colorful balloons filled with even more colorful pinatas. 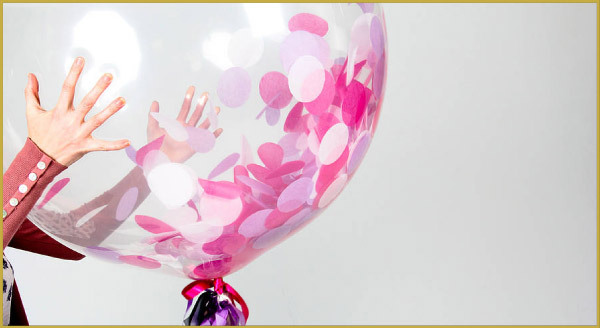 When your party reaches its “big moment,” pop the balloon and release a fun shower of confetti over your guests. 5. Personal Tents: If you enjoyed making blanket forts when you were a child, you’ll love small, two-person (at most) tents crafted from soft materials. These tents not only serve as decoration, but they can also provide a way to beat the heat and a place to keep belongings. 4. 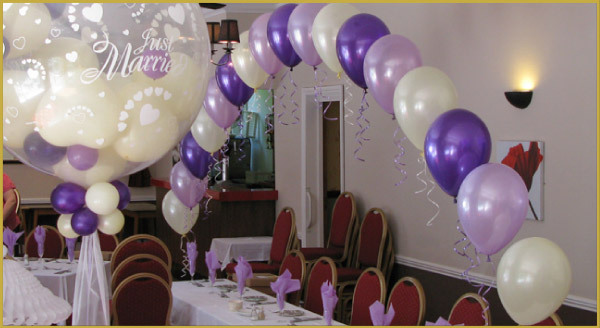 Balloon Arches: Get your guests into the party spirit from the moment they arrive by welcoming them with a balloon arch. Balloon arches can be made in any color or colors and can even feature accents to give them that little extra touch of style. 3. 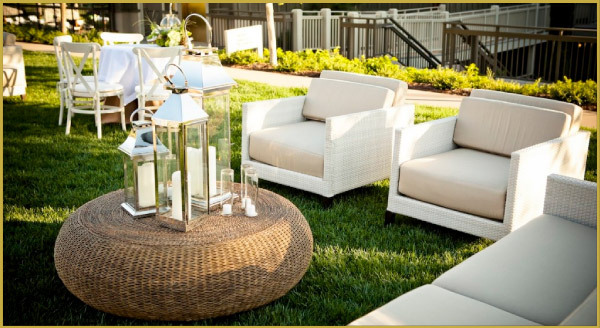 Armless Chairs: If you want to lend a relaxing atmosphere to your party, then why not add in some armless chairs? These cozy chairs, which typically sit low to the ground, encourage people to relax, lie back, and maybe even cuddle up! As an added bonus, they don’t take up a lot of space either! 2. 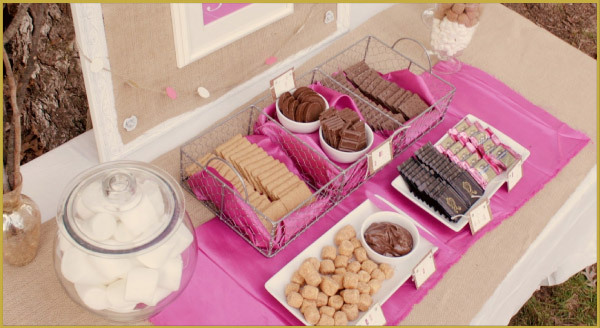 A Sumptuous S’mores Bar: Who doesn’t love s’mores? Now, serving up this delicious treat is easier than ever before. Just fill a long planter with pebbles and top with candles for easy marshmallow toasting fun. 1. 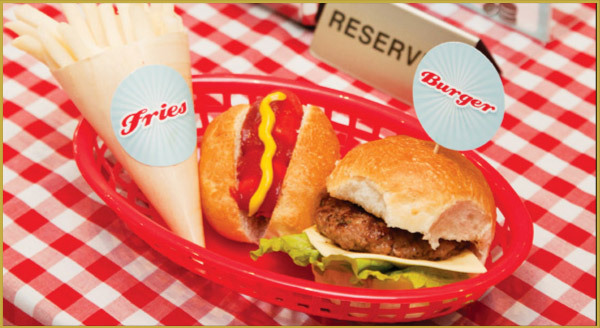 Diner Accessories: Transport your guests to the 50s and serve up some budget-conscious burgers and fries by turning your party room into an old-fashioned diner. A jukebox, checkered flooring, some cozy red booths, and a milkshake machine should do the trick, and you can even earn bonus points for arriving in a classic car! 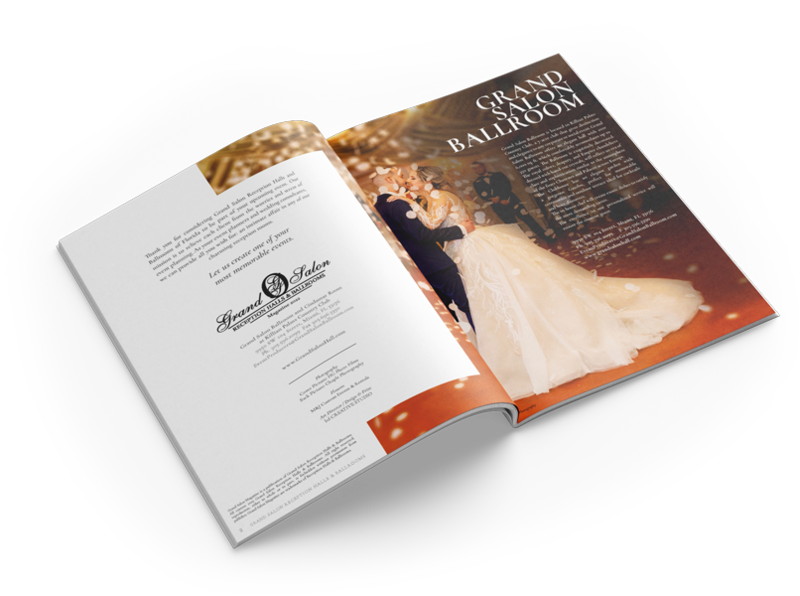 Just remember, if you are looking for perfect banquet halls en Miami, look no further than Grand Salon, one of the best wedding venues in Miami.